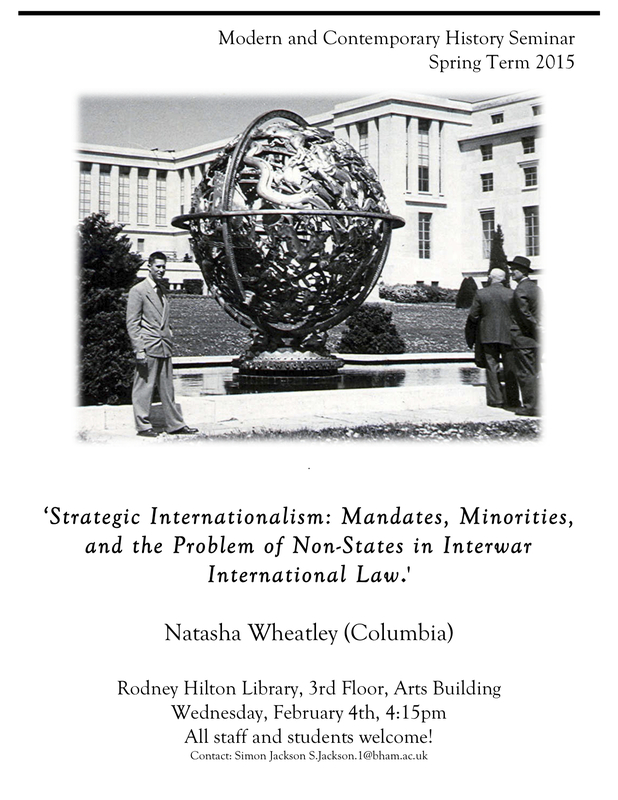 Spring 2015 Week 4 Seminar: Natasha Wheatley: Strategic Internationalism: Mandates, Minorities, and the Problem of Non-States in Interwar International Law. Abstract: Who or what are the subjects of international law and order? Traditionally, these comprised states alone. In the interwar period, however, a broad spectrum of jurists began to challenge this view, spurred in particular by the legal innovations of the League of Nations. The League’s new oversight regimes for minority populations and mandate territories, as well as its petition procedures, suggested to some that states had lost their singular standing in international law. This paper explores the question of international legal personality as both intellectual history and as international social history: at the same time as the legal capacity of non-states was being conceptualized in law, a variety of non-state actors were already using, contesting, and elaborating the legal openings created by the League. 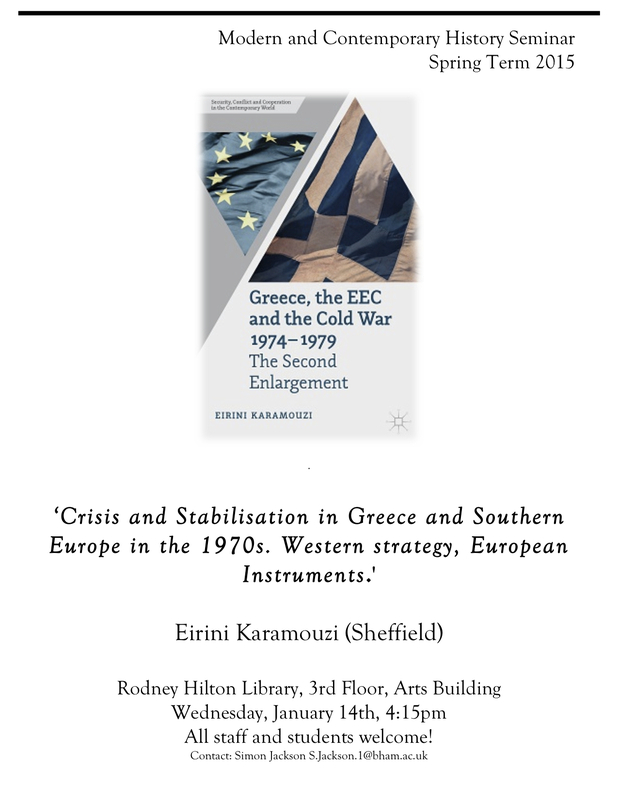 I argue that this new area of law – encompassing both new legal subjects and the international jurisdiction that housed them – developed in interaction with the strategic internationalism of a wide array of non-state claim-makers. 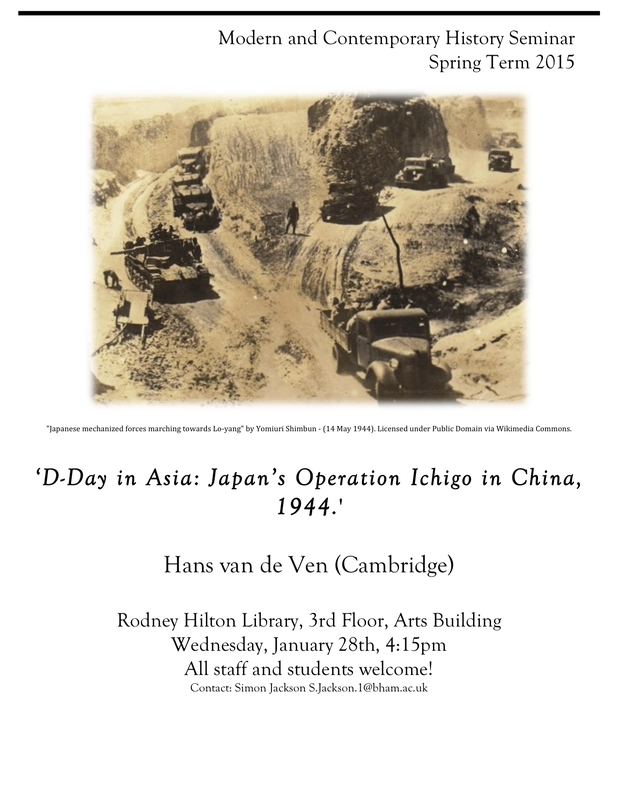 All are welcome, and there will be drinks! 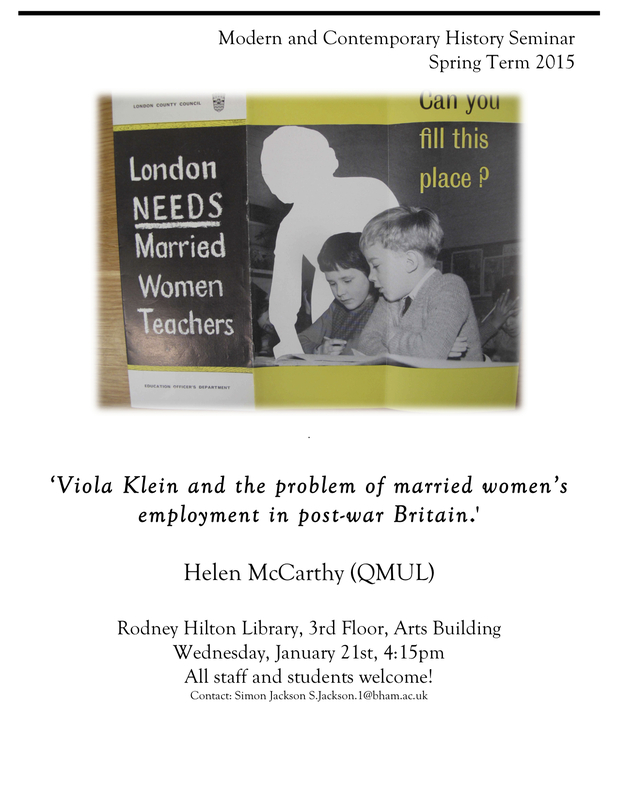 Spring 2015 Week 2 Seminar: Helen McCarthy: Viola Klein and the problem of married women’s employment in post-war Britain.